The final laps of the 2017 Verizon IndyCar Series season have been clocked, the checkered flag has flown, and the countdown has started again… 165 days until we’re back on track in St. Petersburg. Yes, this is the IndyCar off-season. What does that mean for me? It’s time for intense post-season physical training, finalizing 2018 plans, partner appearances and testing. But first, my wife Kathleen and I need to get home from Sonoma! This time we’re taking the long way, traveling through eight national parks in our motorhome en route back to Indianapolis. 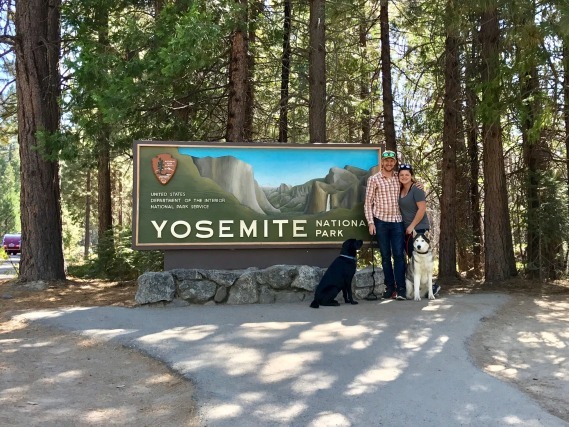 We’re both avid hikers and love being outdoors, so this is definitely a “bucket list” trip for us (and our dogs, Taj and Lilah). We’re taking you along for the ride via my After the Checkered video series. Our first stop was Yosemite National Park in California’s Sierra Nevada mountains. Click here to view the full video, and keep an eye on #KimballsGoKamping on Instagram and Twitter for more updates! Next stop: Hurricane Ridge at Olympic National Park.